Residents of a Corona neighborhood were evacuated Wednesday as flames from a wind-driven brush fire came close to dozens of homes, fire officials said. The blaze broke out about 3:40 p.m. near Rincon and Auburndale streets, Corona Fire Department spokeswoman Lynn Mata said. 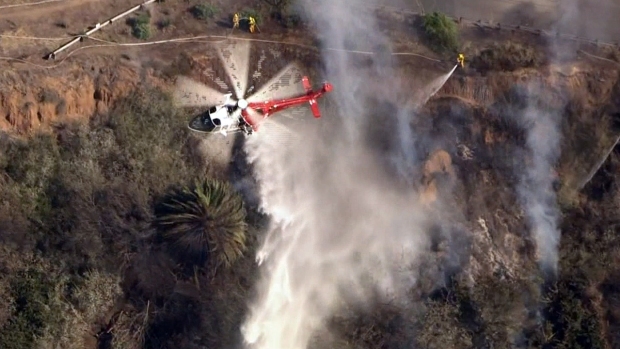 Aerial footage taken by NewsChopper4 showed firefighting helicopters making water drops on a swath of land separating homes from an industrial area (map). About 75 homes were evacuated, Mata said. 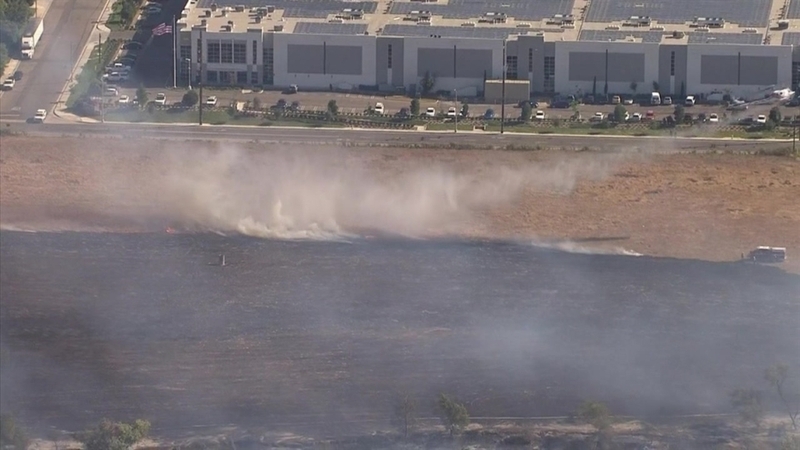 More than 100 firefighters were called to battle the flames, which had spread to about 11 acres, Mata said. 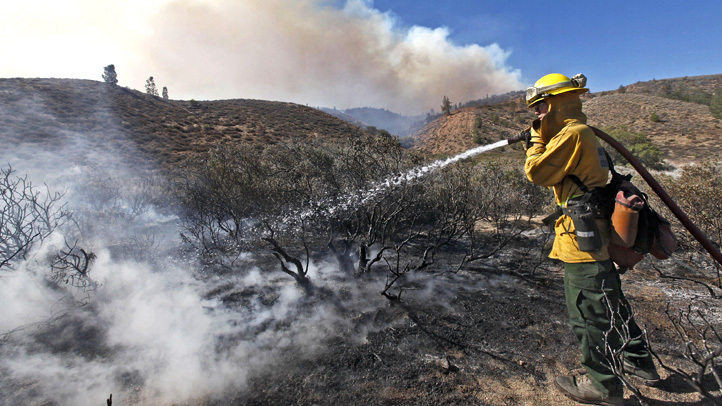 Officials said the blaze was not connected to another brush fire that broke out along the 91 Freeway in Corona on Tuesday night.